When: 1st Tuesday of each Month; 5:00 p.m. to 7:00 p.m.
Their mission is to serve the needs of SCIs in employment, adaptive sports, recreation, social functions, networking, outreach, SCI prevention, and guest speakers for the group and the community. 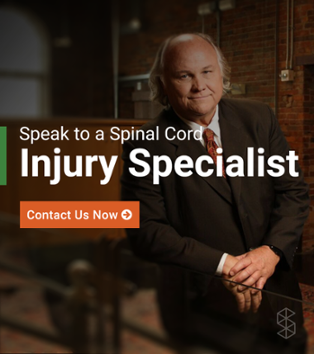 The Greater Orlando Spinal Cord Injury Network is a non-profit group for persons with SCI in the Orlando area. Their mission is to serve the needs of SCIs in employment, adaptive sports, recreation, social functions, networking, outreach, SCI prevention, and guest speakers for the group and the community. Visit their website at www.goscin.org to join their mailing list and to find out more. When: First Wednesday of each month @ 2:30 p.m. When: once a month on the 4th Wednesday of the month at Sea Pines at 4:30 pm. Anyone who needs further information please contact Laura. 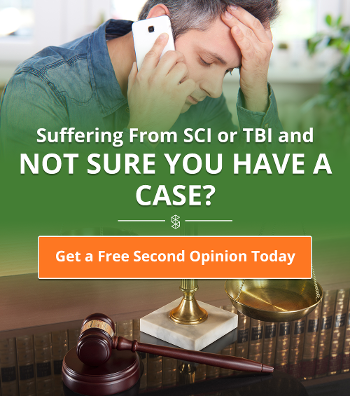 Spinal Cord Injury support group for people in Jacksonville, FL. When: Group meets quarterly (March, June, September, December) on the 2nd Wednesday of the Month from 12 p.m. - 1:00 p.m. Survivors of spinal cord injury, as well as family members, are welcome to these meetings, which include group discussions, information about spinal cord injury and general support. When: 3rd Wednesday of each month from 12:30 p.m. to 2:30 p.m.
Lee Memorial Support Groups are held in Fort Myers, FL. Trauma Survivors Group: 2nd Tuesday of each month from 6:00 p.m. - 7:30 p.m.
SCI Support Group: 3rd Monday of each month from 1 p.m. - 3 p.m.
TBI Support Group: 4th Wednesday of each month from 6:00 p.m. - 7:30 p.m.
SCI support group that coordinates recreational outings, sports, and social gatherings in addition to their monthly meetings. The group coordinates recreational outings, sports, and social gatherings in addition to their monthly meetings. Email rac@custom-mobility.com to be added to SCION’s email mailing list. When: 2nd Thursday of the month at 5:00 p.m. This forum provides an opportunity for survivors and their families to learn about and discuss issues specific to SCI. When: 2nd Wednesday of each month, 4:30 – 6:00 p.m.
Support group for individuals with spinal cord injury held in Miami, FL. The Spinal Cord Injury Support Group (SCISG) is a nonprofit organization that promotes camaraderie through friendship, education, advocacy and recreation to enhance the quality of life for those affected by spinal cord injuries and disabilities. When: every 4th Wednesday of each month at noon. Support group for individuals with spinal cord injury in Ocala, FL. Spinal cord injury support group for individuals in Spring Hill, FL. When: 2nd Thursday of each month 5 - 7 p.m. Learn how to manage stress and improve your qualiy of life. Develop coping skills and explore benefits of self-care, problem solving, journal writing, mental imagery, deep breathing, and muscle relaxation. Participants will also learn about community care resources. This group promotes wellness for SCI survivors through networking, education, exercise and opportunities for collaboration in the community. Snacks provided. When: 4th Wednesday of each month at 4:30 p.m. at the rehab center unless otherwise noted. When: 2nd Tuesday of every month; from 2:30 p.m. to 3:30 p.m.